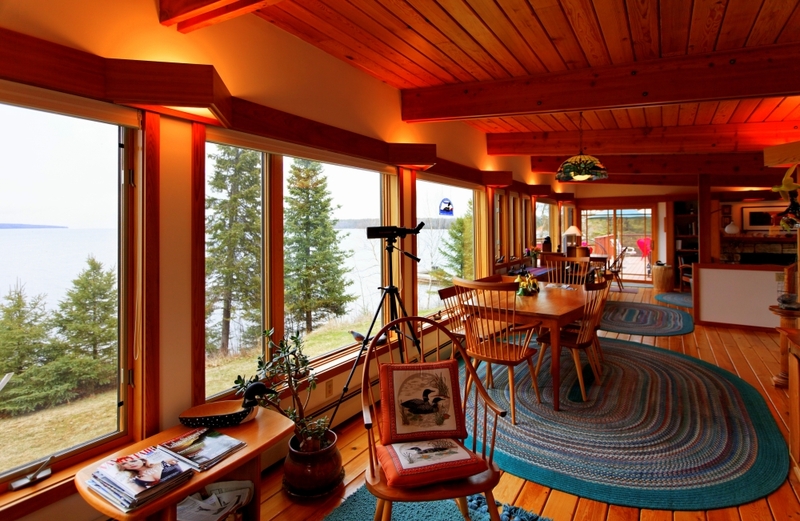 Madeline Island luxury waterfront home in coveted Sunset Bay area. Includes sunset view, 324 feet of prime shoreline with dock, large deck, garage with its own separate sleeping quarters, two fireplaces, plenty of space to entertain and enjoy the best of Lake Superior. Showings are by appointment only. Property listed by Eric Kodner, Broker, with Madeline Island Realty. Phone 612.670.2539 or email [email protected] for more information or to arrange a showing of this fine waterfront home.